The school’s effectiveness has improved markedly as a result of the efforts of current leaders and governors. They have worked tirelessly to bring about substantial and sustained improvements to teaching, learning and pupils’ outcomes. Teaching is skilled and highly effective. Assessment is rigorous. Information about what pupils know already is used very well to plan the next steps. Teaching is tailored exceptionally well to individual pupils’ needs. Consequently, no pupil falls behind. All pupils, including those who are disadvantaged, make strong progress. They achieve highly in reading, writing and mathematics. They also do very well in a wide range of other subjects, including science, art, history and physical education. Pupils who have special educational needs (SEN) and/or disabilities and those who speak English as an additional language are given excellent support and make rapid progress as a result. The rich and varied curriculum enhances pupils’ experiences a great deal and promotes their spiritual, moral, social and cultural development very well. Pupils’ behaviour is excellent. Pupils are respectful and responsive to adults and to each other. They are very well prepared for their next steps at secondary school, both academically and in their personal development. Everyone looks out for one another in this small, caring school. Relationships between pupils and staff are warm and supportive. The school’s core values underpin everything that is done. The arrangements for protecting pupils and keeping them safe are effective. Pupils, staff and parents have no concerns about pupils’ safety or their behaviour. Children get off to an excellent start in the Reception class. They make strong progress in all areas of learning. Any weaknesses in aspects of the school’s work are minor and are being dealt with. The teaching of phonics is not always as precise as it should be. In addition, the assessment of how well pupils are doing in the foundation subjects is not as informative as that in reading, writing and mathematics. 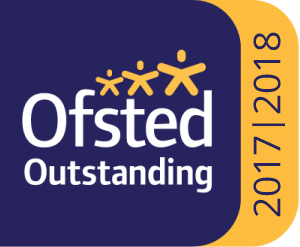 The strong leadership of the headteacher, well supported by a much improved governing body and an effective staff team, has led to consolidation of previous good performance and further improvements in the quality of teaching and pupils’ achievement.